Trying to keep my hands busy as sit and keep shop at Roadhouse Arts for the evening. 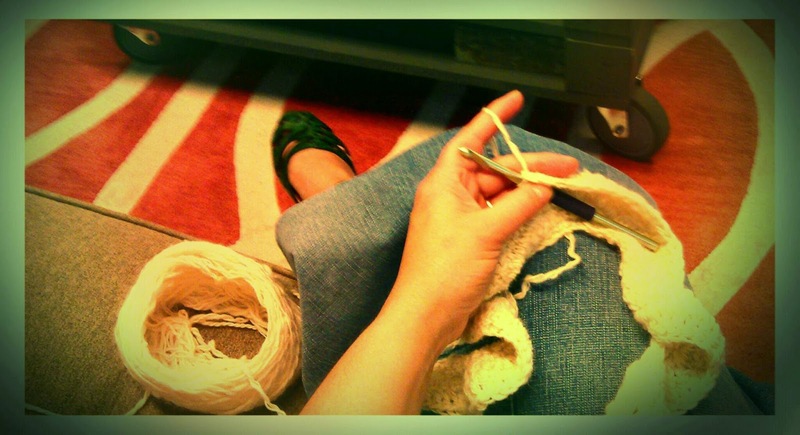 At this pace I should be just about be done with this scarf before the evening is over. 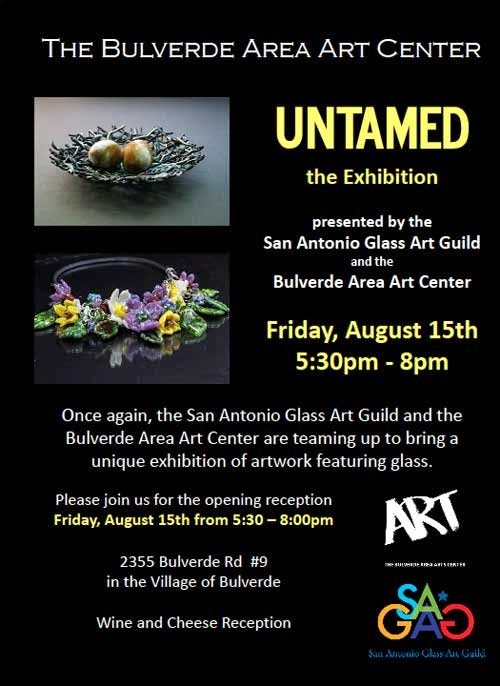 Join us for the opening reception of Untamed, a juried glass exhibition sponsored by the San Antonio Glass Art Guild and the Bulverde Area Art Center, this Friday from 5:30-8:00pm. Hope to see you there. This Sunday I had a chance to sit and work on the torch for a few hours over at Dream Fire Glass Studio. 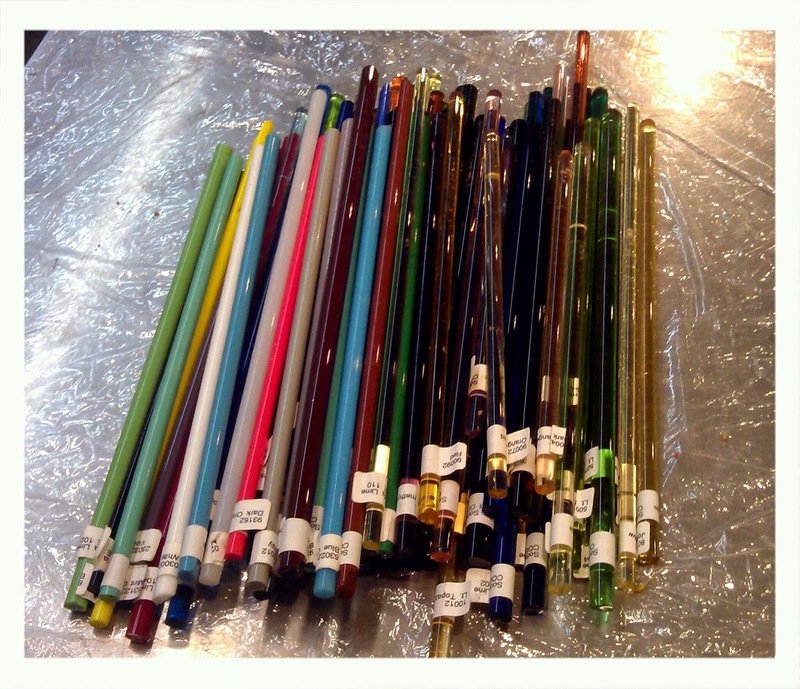 I was thrilled when I arrived to find a package of Czech glass rods, left for me as a gift from a friend who focuses on working in borosilicate glass. It was a case of "one man's trash is another man's treasure". Working in borosilicate he had no use for soft glass. I on the other hand was thrilled to receive such a wonderful assortment. This will be a bit of a stretch for me since I generally work in COE 90 and this glass ranges from COE 104-115. I took three transparent rods and made icicles to get an idea of what to expect. The transparent colors are absolutely beautiful, so clear and vibrant. Now I can apply the notes I took about working with Czech glass from Lisa St. Martin's lecture at this year's ISGB Gathering. Perfect timing. 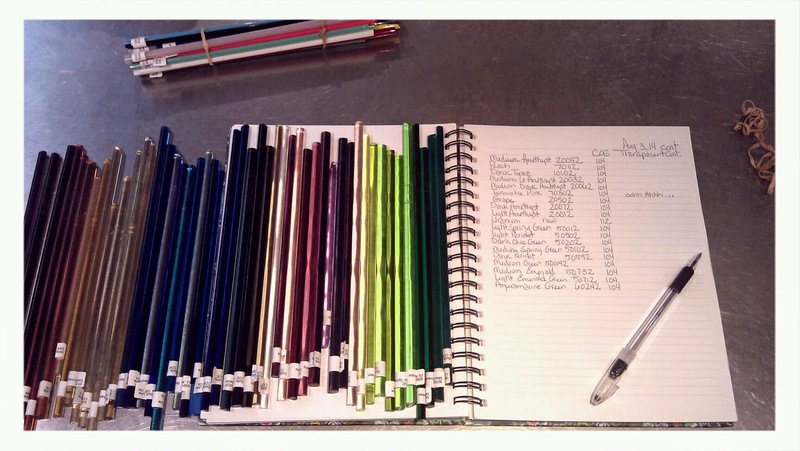 I immediately took inventory noting the color name, number and COE of each rod. Now I can take notes along the way about what I use and how I like it so I can make educated decisions about if/how to use this material in the future. What an opportunity. I am as excited as a kid with a new box of crayons. The BIG box, you know the one with 64 colors and the sharpener in the back.